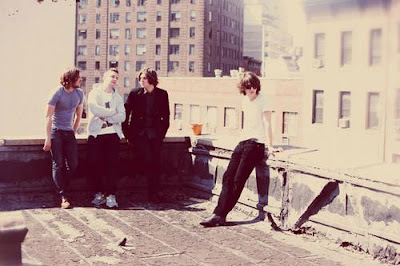 After Humbug playing for weeks along in my room and on my mp3(a huge addiction), Arctic Monkeys are back with their 2nd single. 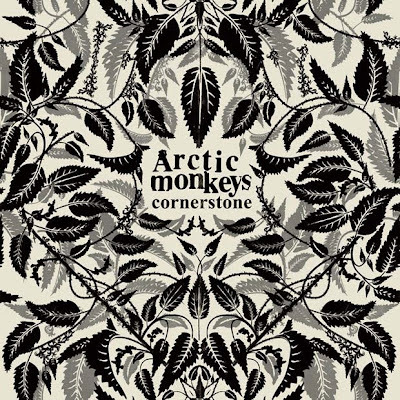 They have picked "Cornerstone",a great choice in my opinion,and there will also be 3 brand new tracks as b-sides. I just listened to 2 of them,and i'm really excited. Seriously,whether their new material is different or not,in the end i always love it. The 3 new tracks come by the names of "Catapult","Sketchead","Fright Lined Dining Room". You must have read their statements that they started listening to bands like Black Sabbath etc.In case you didn't believe it,"Sketchead" is the proof.Heavy drums and crushing guitar riffs,not likely what we are used to.Those drums remind me of my very old days,"War Pigs". 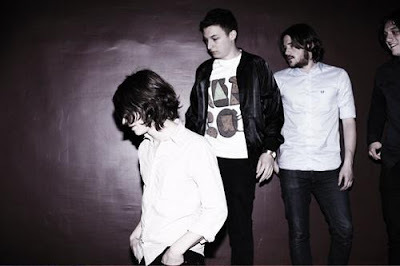 "Catapult" is the psychedelic side of "Standing Next To Me",without those Humbug-guitars missing.I bet that they were considering it for the album,but decided that it is more suitable for a b-side,which is true. The single is out on November 16th in 7" and 10" vinyl,and you can preorder it via amazon.